iHELP presentation of the mobile application, Bracelet and other products. How increase safety at home, at work? Sudden Cardiac Arrest (SCA) is a leading cause of death in the United States, claiming more than 360,000 lives each year. An estimated 382,800 people experience sudden cardiac arrest in the United States each year. 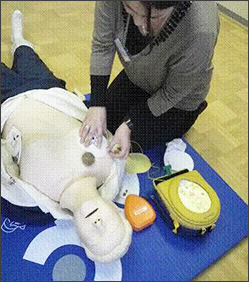 Approximately 92 % of those who experience sudden cardiac arrest do not survive. SCA kills more than 1,000 people a day, or one person every 90 second, number great than the number of deaths each year from breast cancer, lung cancer, stroke or AIDS. The most common cause of SCA is a heart rhythm disorder (arrhythmia) called ventricular fibrillation (VF). VF is an "electrical problem" in the heart. Without immediate emergency help, death follows within minutes of an episode of ventricular fibrillation. SCA most often occurs in patients with heart disease, especially those who have congestive heart failure and have had a heart attack. It is estimated that 95 percent of victims who experience SCA die before they reach a hospital or some other source of emergency help. As many as 75 percent of people who die of SCA show signs of a previous heart attack. Eighty percent have signs of coronary artery disease. SCA is not a random event. Although it may occur in outwardly healthy people, most victims do have heart disease or other health problems, often without being aware of it. Sudden cardiac arrest (SCA) is a condition in which the heart suddenly and unexpectedly stops beating. If this happens, blood stops flowing to the brain and other vital organs. SCA usually causes death if it's not treated within minutes. 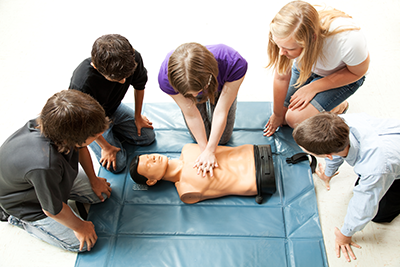 Each year, more than 350,000 out-of-hospital cardiac arrests occur in the United States.